“Chocolate is daring and has an exclusive place in the culinary history. and fully immerse themselves in the chocolate making process. Boutique Le Chocolat celebrates chocolate in all its glory, offering a truly unique platform for the most decadent of ingredients. It is every chocolate lover’s dream to learn and immerse themselves fully in the chocolate-making process. 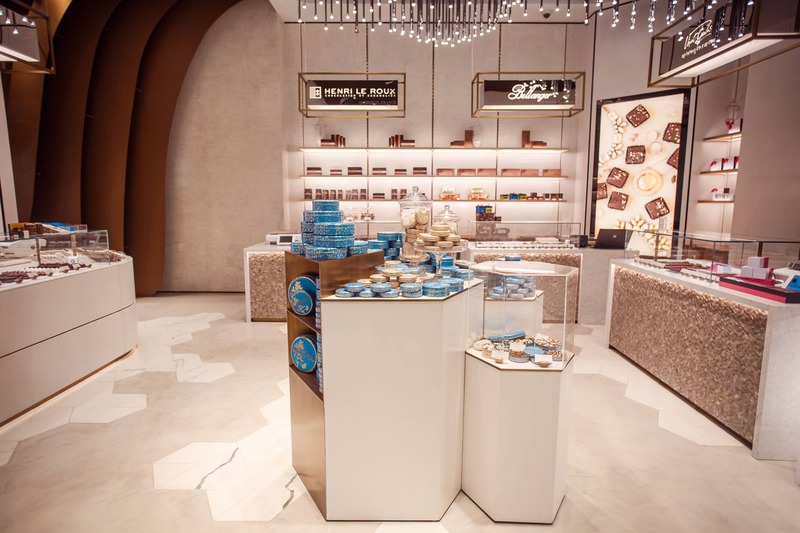 Furthermore, Boutique Le Chocolat has built relationships with the chocolatiers that you see within the store today thanks to the collaborations with chocolate luminaries such as Salon du Chocolat & Cacao Barry. 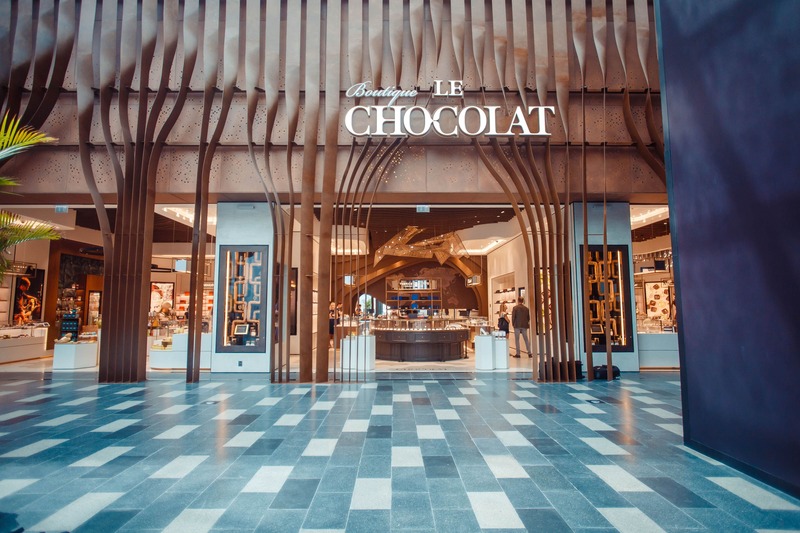 Meraas, the Dubai-based holding company, has opened Boutique Le Chocolat, its newest homegrown concept at City Walk this month. Boutique Le Chocolat brings together internationally renowned chocolatiers and a world of indulgence for all chocolate lovers under one roof. 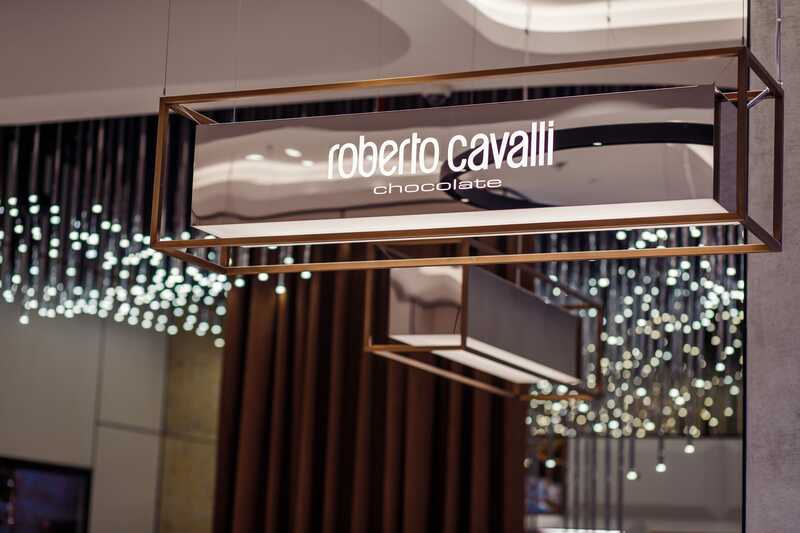 From bespoke items to a luscious array of ready-made handcrafted creations to personalized exquisite blends of chocolate, a universe of chocolate awaits visitors. 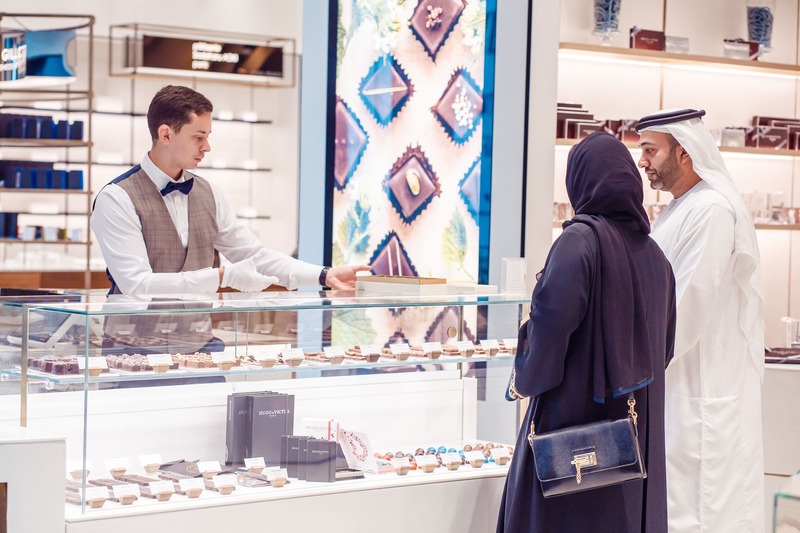 There are over 28 luxury brands in store at the moment, marking their foray for the first time into the Middle East Market, and a further 60 more arriving soon. 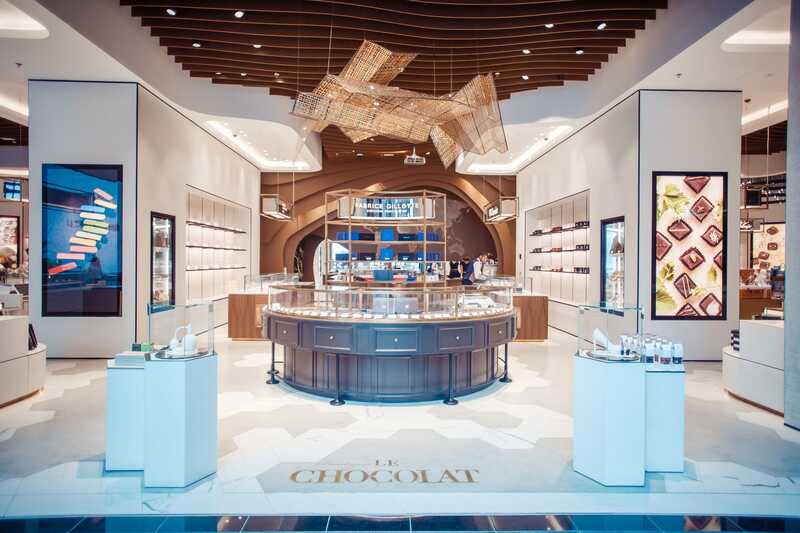 It is the first and only luxury retail experience based entirely on multi-brand premium chocolates in the region, spanning an area of 13,000 feet square with an additional 20,000 feet square as part of its planned expansion. 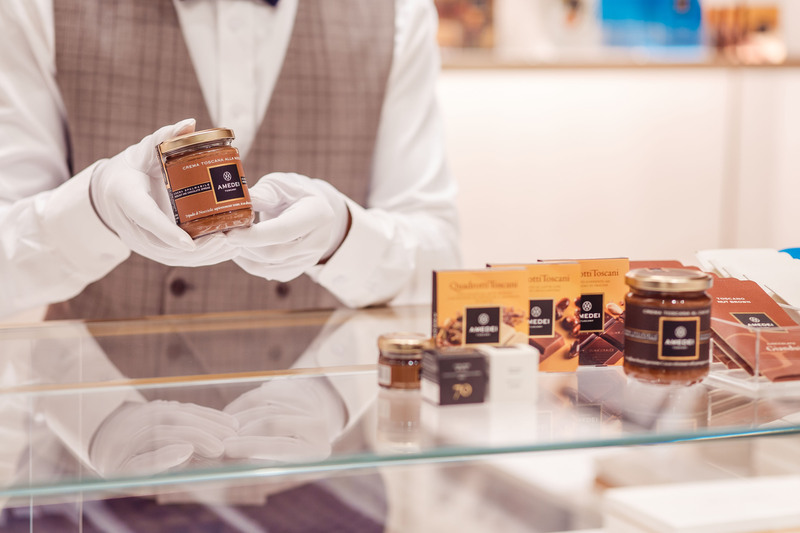 Boutique Le Chocolat introduces internationally acclaimed brands from across the globe to the UAE and the region, each selected for its quality, creativity, and craft. Visitors can enjoy the inspiration and skill of each carefully created morsel that tantalizes the senses. 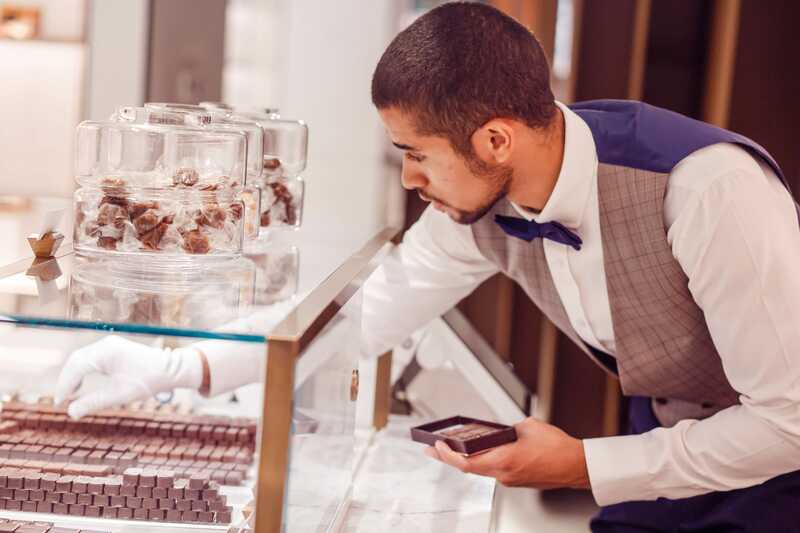 As they walk in, they can embark on a gourmet experience, wandering among the beautiful chocolate creations that adorn the store. They also have the opportunity to learn about and taste the varying styles of chocolate couverture. 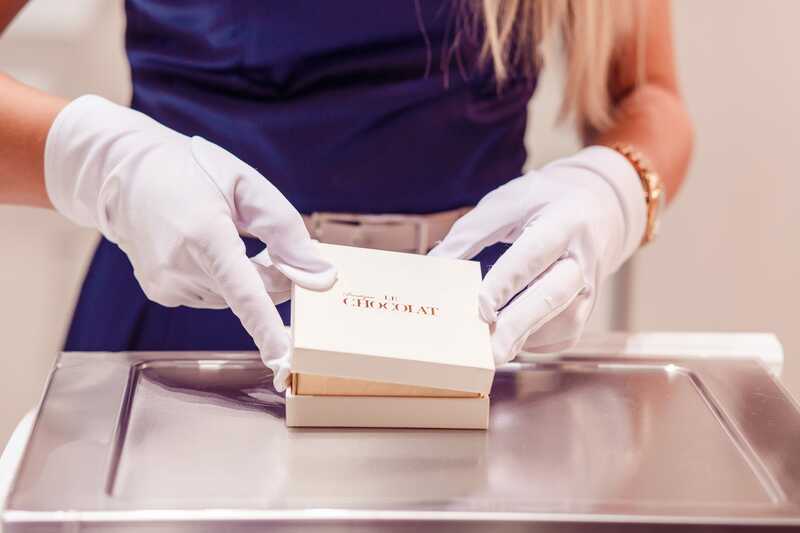 Furthermore, guests can create their own personal chocolate bar with a personalized label and an individual message for any occasion. 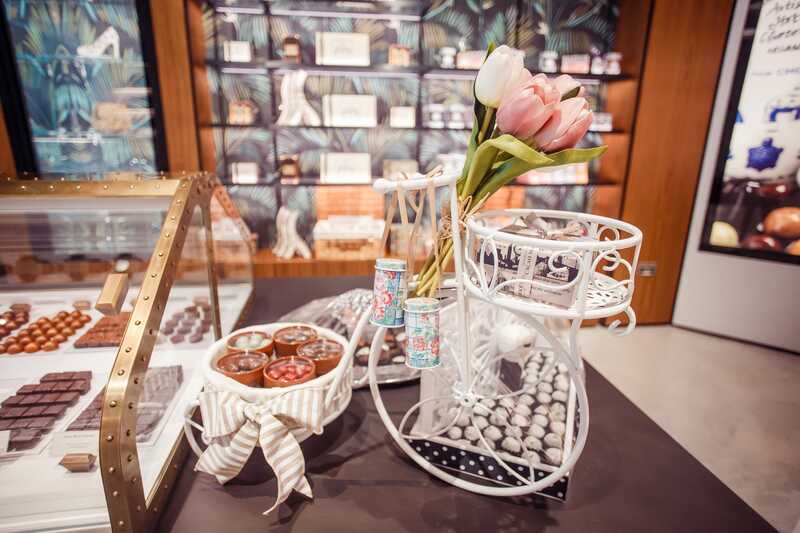 Guests can also feast their eyes on the beautiful chocolate sculptures that decorate the store. Those who would like to take a break to consider the options can enjoy refreshing warm drinks at Boutique Le Chocolat Café or alternatively experience a delectable meal at Cocoa Kitchen, a cocoa-centric cuisine restaurant where each dish, savory or sweet, has an enchanting accent of cocoa. 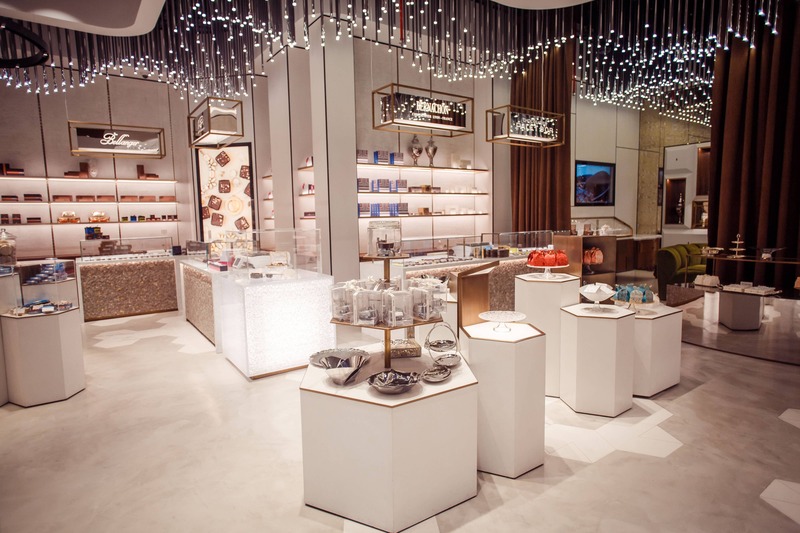 Boutique Le Chocolat is not an ordinary shopping experience; it is a one-of-a-kind destination, where chocoholics like myself, can indulge in over 700 different flavors or types of chocolates created by professional chocolatiers. Fatima, the pastry chef at Le Chocolat gave me an educational ‘Bespoke Experience’ on how chocolate is made. This included a brief overview on how/why chocolate is tempered, the production of chocolate and even the different methodologies used to create different types/bars of chocolates. 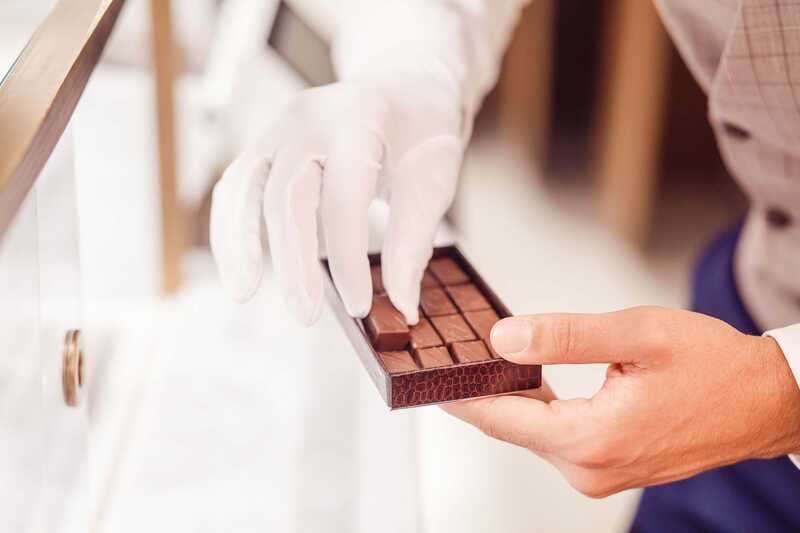 The Bespoke Experience priced at AED300 even includes a tasting session of around 8 different types of chocolates (dark, milk and white) that further allows you to create your own chocolate using those 8! You will receive 4 bespoke chocolate bars with a unique customized wrapping at the end. If you want just one bar without the experience, it costs AED65. Did you know Bollywood celebrities, like Ranveer Singh and Rekha have visited Boutique Le Chocolat ????? It is not easy to find good chocolate in Dubai. Often, people are confined to Godiva and Patchi only, little do people know that a great variety actually exists in town! Most of them are afraid to take their taste buds on an adventure as they feel they may splurge on something that does not turn out to be as great. 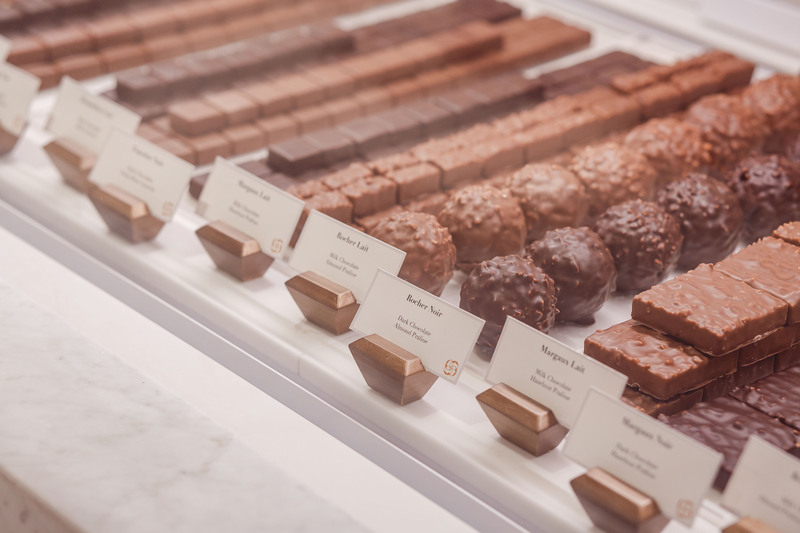 Le Chocolat is a chocolate boutique that gives customers the opportunity to try several chocolates from different brands before purchasing a box. Every chocolate boasts utmost quality. I can guarantee a 100% that they will melt in your mouth within a few seconds! Mattified chocolates that melt quickly with your body temperature are the best types of chocolates. The texture upon melting is smooth, velvety and thick enough to glide through your palate. 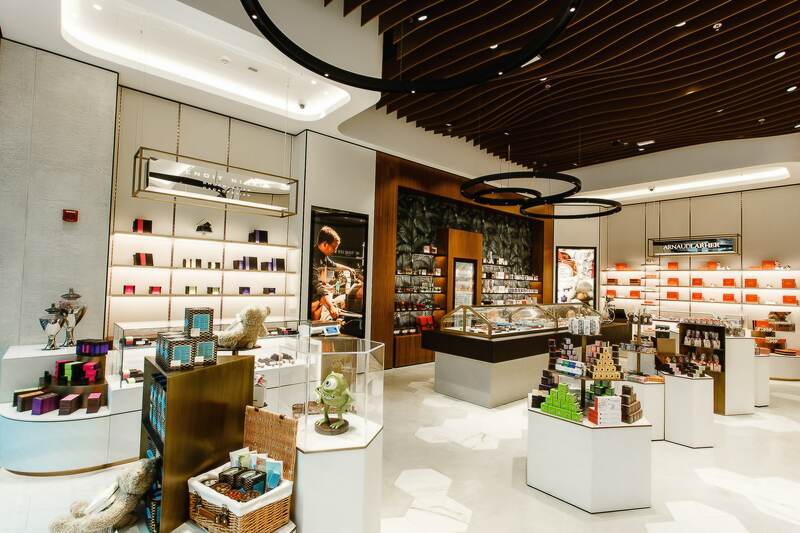 World-class chocolate requires world class chocolatiers and Boutique Le Chocolat has them in abundance, hailing from Japan, Belgium, USA, Switzerland, and France. 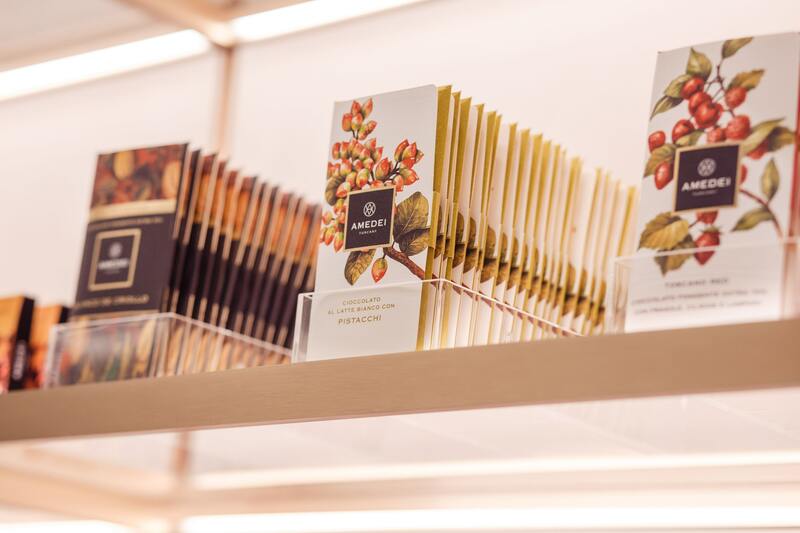 The list of premium chocolate brands available at the store include: Boutique Le Chocolat, TA Milano, Amedei, Choc d H, Jean Charles Rochoux, Maison Chaudun, Arnaud Lahrer, Marie Belle, John Kelly, Du Rhone, Hugo & Victor, deLafee, Aoki, Henri Le Roux, Chapon, Peter Beier, Boissier, Bellanger, Palet D’Or, Guittard, Benoit Nihant, Rococo, Bernachon, Vincent Guerlais, Z Chocolat, Fabrice Gilotte and Roberto Cavalli.